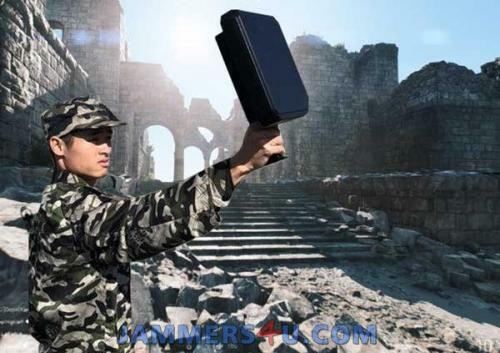 Taipei, Taiwan., March 21, 2019 - /PressReleasePoint/ - Jammers4u launches new most powerful 32W Portable Handheld Direction Antenna Drone UAV Jammer in the Market, With portability and power in mind Jammers4u has developed new series of light, handheld devices with power of much bigger units. 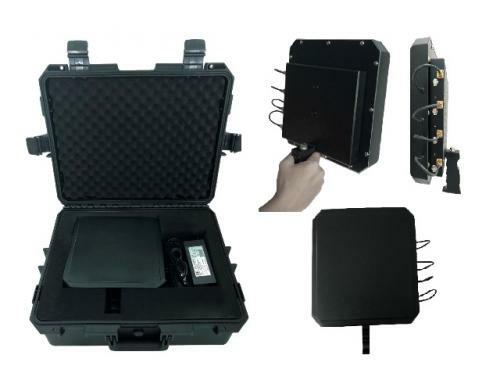 This drone hunter has directional antenna panel that aims power delivery directly towards the drone or other remote operated vehicle thus improving the effective range. This also is important for urban environments where users do not want to interfere with other devices in homes and offices. By directing antenna towards the treat that influence only narrow area with concentrated jamming power beam. 8-10W modules that deliver power in directed manner make this unit very powerful solution at a portable unit cost. This is the reason that Jammers4u have implemented GO HOME option in this model of jammer. GO HOME option gives an extra measure of security in such events because, when activated, it will affect the drone to go to its starting location. This option works with all GPS equipped drones, due to implemented traffic safety standards in drones that is exploited with this option. GO HOME is activated when drone is spotted and jammed, as with any regular jammer. Drone will hoover and start to land, at that moment, when user activate GO HOME button, drone overrides landing procedure, and following only GPS route goes back to starting point. This removes a potential threat to the VIP or public, displaces the danger, and gives the security forces a visual trace to the drone operator location where he can be comprehended, or forensic data collected. OEM Manufacturer and exporter of wireless tech-wise equipment - committed to customers satisfaction !